A float trip is a great way to cover water in Colorado. An afternoon spent catching wild trout doesn’t have to end inside a musty tent clutching your favorite can of bear spray. 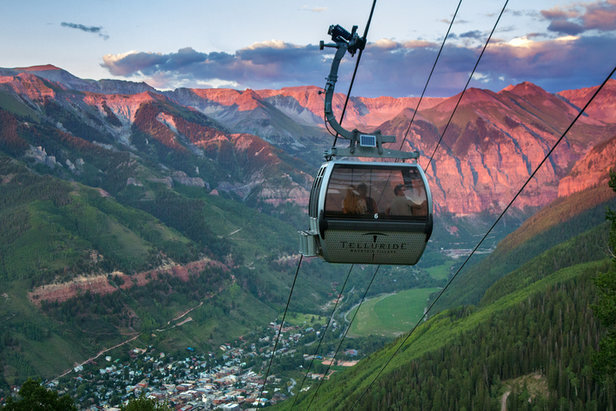 Ski towns across the country offer prime trout water within close proximity to world-class restaurants, entertainment, summer recreation and family-friendly activities. So, after the fish have found the bottom of the net, grab a cold-one and head for the hot tub at these top five destinations. Aspen's not only a playground for the rich and famous, it also caters to serious anglers with a multitude of high-country lakes, streams and rivers. 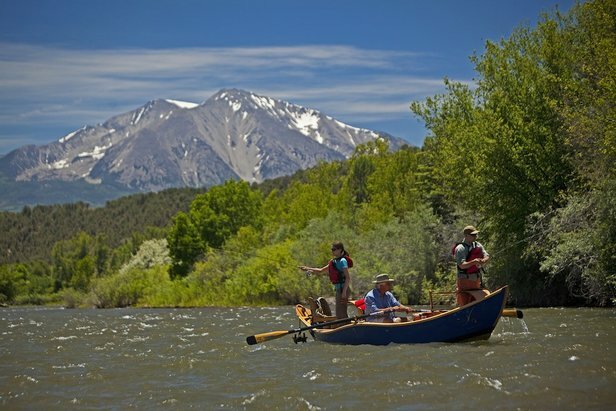 Hit the infamous tailwater section of the Frying Pan River to target trophy rainbows or float the Roaring Fork for an endless barrage of feisty browns. Bozeman, Montana, situated between Big Sky Resort and Bridger Bowl Ski Area, acts as the perfect hub to base ski vacations during the winter. During summer months, however, the town turns its focus on fish, granting quick access to multiple river systems, including the Yellowstone, Gallatin and Madison. Micro-brews and macro-trout mix well in cowboy country. Everything in Jackson Hole is big, from Corbet's Couloir to the Tetons. It only figures that the fishing would follow suit. The Snake River, Flat Creek, the South Fork and the Greys River are just a few of the angling opportunities found in this expansive valley; let's not forget about easy access into Yellowstone National Park. Bend, Oregon, is not only home to Mt. Bachelor (known for its light, dry snow and seemingly endless winters), but to a booming craft beer scene as well. After the thaw, angling opportunities abound, from steelhead on the Deschutes River to trout on the Metolious. It's no wonder Bend was ranked by Field & Stream magazine as one of America's top fishing towns. Sun Valley is the birthplace of North American skiing, bringing to fruition some of the world's very first chairlifts. When the lifts stop spinning, however, look to The Big Wood River and Silver Creek for excellent fishing. While The Big Wood offers superb dry fly fishing, Silver Creek will test your grit with large, spooky trout.